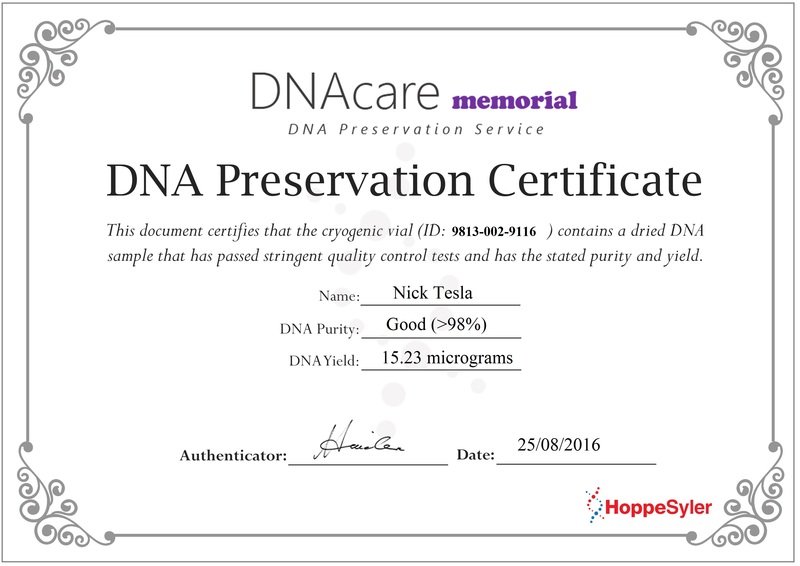 Professional DNA preservation at an affordable price. Services exist that can extract information regarding predisposition to cancer, Parkinsons disease, Alzhiemer's disease, as well as many others. By preserving the DNA of your loved ones you are giving yourself and your children the opporunity to obtain this information if and when you choose to do so. 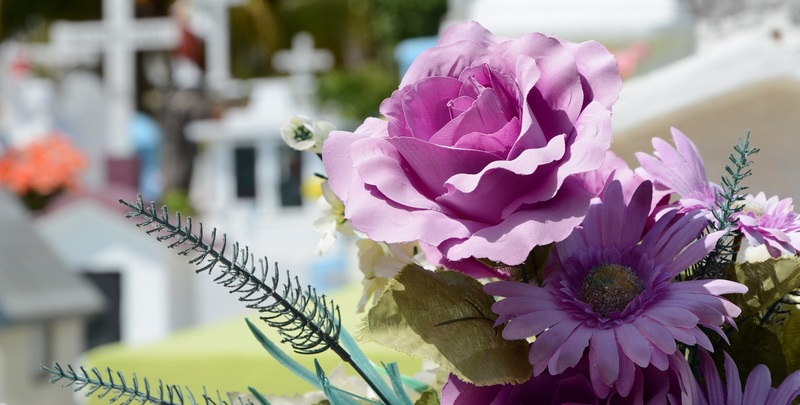 By preserving DNA you retain the ability to determine whether a biological relationship exists between the recently deceased and another individual including potential siblings, grandparents, and children. DNA analysis is the most reliable way to determine paternity or kinship and preserving your loved ones DNA today will allow future testing should the need arise. Unique Keepsake to remember your loved ones. Many people are choosing to save DNA as a keepsake. Unlike other traditional keepsake items, your loved ones DNA contains a blueprint that is truly unique to them. Order a kit from our website and receive it at your doorstep in 1 week. Always free shipping! Drop the swabs into the provided shipping envelope and drop the envelope into the mailbox. It's that easy. One we isolate and purify your DNA we will send you a package containing the DNA preserved in an ultra-dry format that is stable at room temperature. With every sample receive a DNA Preservation Certificate that provides both the measures of quality and quantity of the contained DNA sample. Your ultra-dry DNA is preserved in a cryogenic vial and vaccuum sealed. 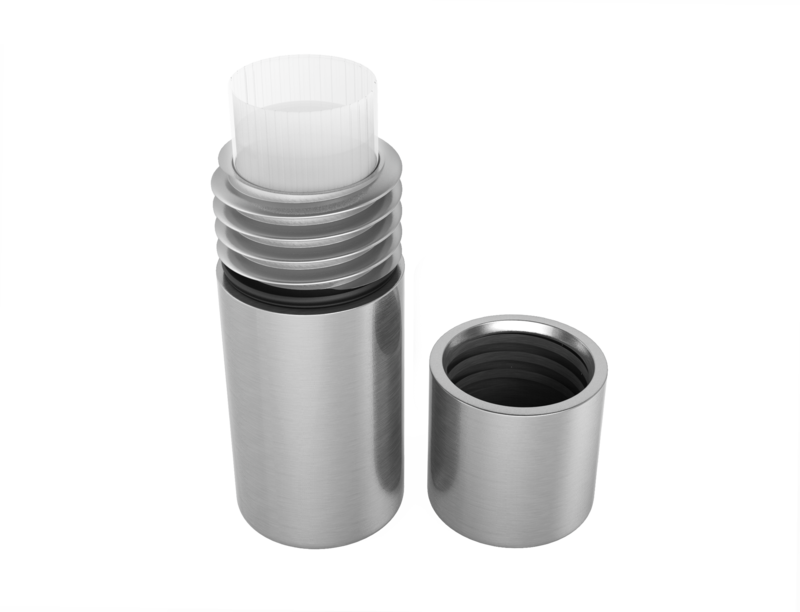 As an additional layer of protection the sample is protected by medical-grade stainless steel vial. 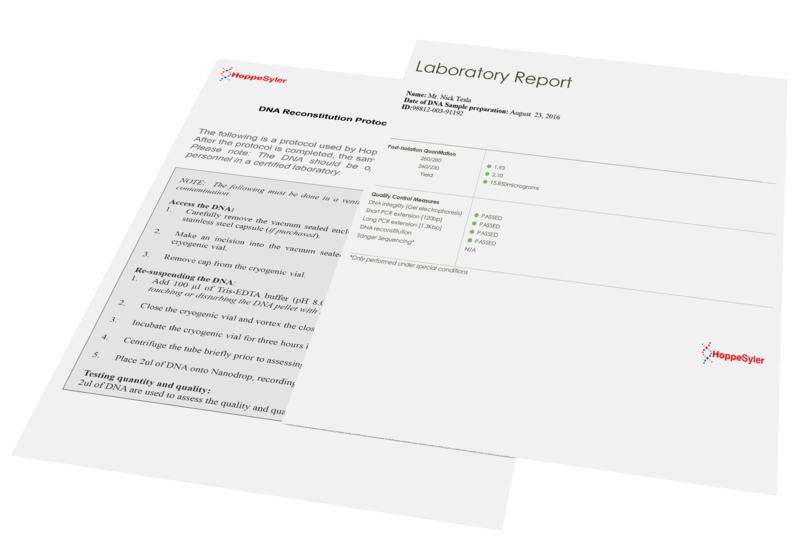 In addition to the DNA Preservation Certificate we provide a laboratory report and reconstitution protocol which contain in-depth technical details that can be used by trained personnel to reconstitute or analyze the DNA at a future date. Success! An email will be sent to you shortly! Error! There was an error sending your message. Please contact info@HoppeSyler.com for help.